What did you think of Reading Clocks Part 2 ? 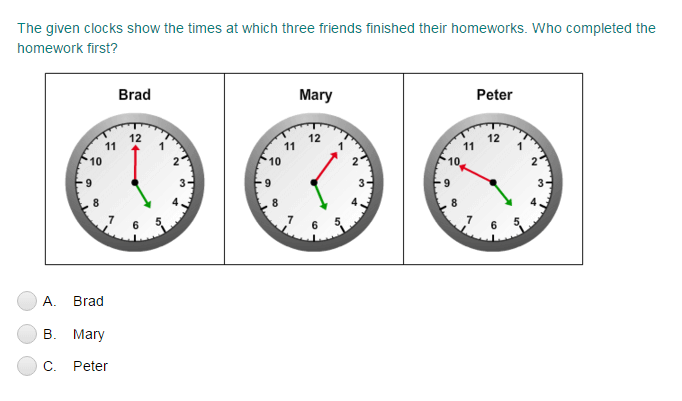 Play more Date and Telling Time quizzes! 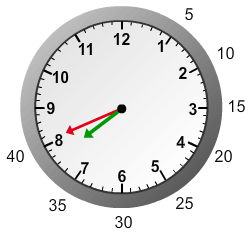 The shorter hand shows the hour reading. 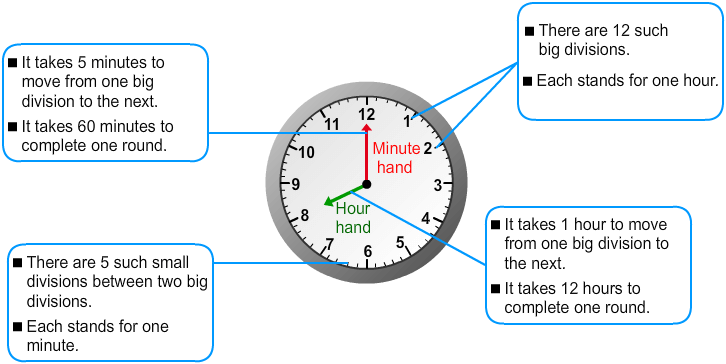 The longer hand shows minutes. We can count minutes quickly by beginning at twelve, and counting up by fives every time the long hand passes a big division. There are 5 minutes between two big divisions. 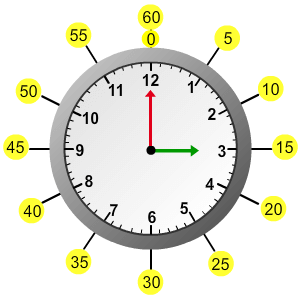 For example: Consider the clock shown below. Here, the hour hand is between 7 and 8. So, it is 7 hours. The minute hand is on 8. So, count up by fives by beginning at 12 on the clock till you reach 8. So, it is 40 minutes. 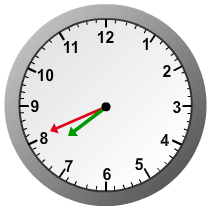 The time shown in the clock is 7:40.